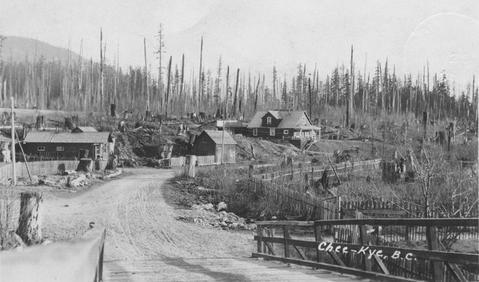 Cheekye is from the Indian name for Mount Garibald - in-ch-KAI which means "dirty place". The mountain was so named since dirty snow would result when dust would be blown onto the snowfields from cinder cones and lava. The pioneers adapted this name to the area and river.